Classical Vietnam tour, high quality Vietnam tours ! 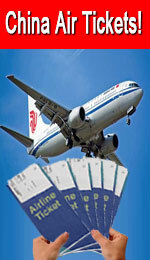 -www.chinatraintickets.net! Leave Hanoi at 8:30 for Halong Bay, on arrival at Halong city at about 12:00. Upon arrival, get on a Junk cruising around Ha Long Bay with a delicious local seafood lunch, passing Dog island, Incense Urn island, Ga Choi island, Finger island, Hoa Cuong Island and visit Surprise Cave and short swimming at Titov beach (if weather permitted). Have dinner on board and enjoy the night fishing. Overnight on board. In the morning, cruise to Bai Tu long Bay, Fire island, Bo Nau Island, fishing village. Having Brunch on boat and arrive at Ha long wharf about 11.00 noon. Back to Hanoi by car and Inspect 01 five star hotel end tour at your hotel. Overnight in Hanoi. Start at 8:00 from your hotel by car to visit Ho Chi Minh Mausoleum and Museum, One pillar pagoda, Tran Quoc pagoda. After lunch, visit to Temple of Literature, the first university of Vietnam, Army museum (or Art museum, History museum, Women museum is at your choice). Hanoi Flag Tower. Wonder around Hoan Kiem lake then visit Ngoc Son Temple. Transfer to airport for flight to Hue. Overnight in Hue Imperial City. Start the tour at 8:00 with a visit to Imperial Citadel and King Minh Mang tomb, King Tu Duc Tomb, Thien Mu Pagoda. Late afternoon, embark a boat cruise along Perfume River to admire sunset and enjoy Vietnamese traditional folk song. Enjoy Imperial Dinner. Overnight in Hue. Have a breakfast at hotel, we take the early flight to Ho Chi Minh. Warmest greetings from tour guide in Ho Chi Minh, we will go to city tour. The tour begins with a visit to Reunification Palace, War Museum, Notre Dame Cathedral. Ben Thanh Market. Overnight in Ho Chi Minh City. Leave at 8:30 from your hotel for My Tho, on arrival, get on a private boat cruising Floating Fish Market and along small creek to Mekong River estuary, to Phoenix Island and stop at a garden restaurant for Vietnamese lunch. The motorized boat cruises more along natural creeks and quiet village in Ben Tre Province. Visit orchards, bee - keeping farm, taste natural honey and honey wine, enjoy tropical fruit, traditional music, wonder around a distillery, explore the local coconut candy production process, taste candy & coconut pulp. On the way back to Ho Chi Minh, stop at a bonsai garden in My Tho. Return Ho Chi Minh and Inspect 01 five star hotel. Overnight in Ho Chi Minh. Free time until transferring to Tan Son Nhat Airport for departure.